Monday night ended the Pittsburgh Penguins four-game Western swing with the Penguins picking up five out of a potential eight points. Pittsburgh currently sits four points behind the New York Islanders for first in the Metropolitan Division. In hindsight, this trip was the perfect time to inch even closer, but we did learn four different things about the Penguins during this stretch that started in Colorado, and ended working their way up the California coast. The Colorado Avalanche are a fast team, fact. With the likes of Matt Duchene and Nathan MacKinnon, most teams would struggle to cover those two alone. Add in the ferocious forechecking of Gabriel Landeskog and an overall balance of size, speed, and grit from the Avs, you have a solid team. Unfortunately for Colorado, injuries and a slow start have hampered their season. 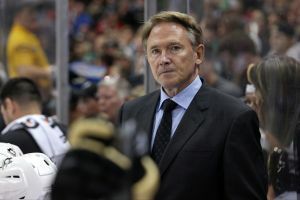 They are on the outside looking in for that last Western Conference Wild Card spot and their desperation showed against Pittsburgh this past Wednesday as they defeated the Penguins by a score of 3-1. 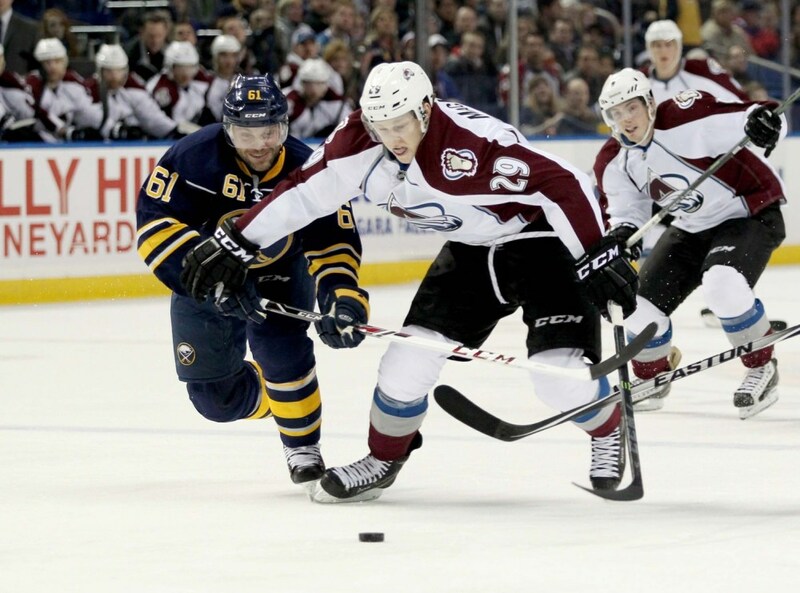 Goals by Jarome Iginla, MacKinnon, and Landeskog sealed the Penguins’ fate that evening. Evgeni Malkin scored the lone Penguins’ goal in the third period. The Penguins clearly struggled to match the desperation of the Avalanche that night and were noticeably the slower team. If the Penguins plan to advance through the Eastern Conference Playoff brackets, they are going to more likely deal with Mats Zuccarello, Carl Hagelin and the speedy New York Rangers. How about Josh Bailey, Michael Grabner, and the New York Islanders? Steven Stamkos and Tyler Johnson of the Tampa Bay Lightning are a fast team as well. Penguins will need to find a way to slow down teams if they plan to go far this season. In a rematch from Opening Night, the Penguins once again defeated the Anaheim Ducks. With Frederik Anderson in net this go-round, the Penguins potted five goals and had a solid goaltending display from back-up Thomas Greiss in the first of a back-to-back on Friday night. Patric Hornqvist lead the Penguins with two goals, followed by goals from Blake Comeau, Evgeni Malkin and Sidney Crosby, respectively. This game was a physical affair with Ben Lovejoy and Simon Despres playing in their first games against their former teams since the Trade Deadline last Monday. There was snarl, there was aggression; it was a playoff-like game. The Penguins have been known to be a counter-attack team over the last several year. Against one of the best teams in the Western Conference and leaders by a sizable margin in the Pacific Division, the Penguins showed they are not scared to face up against a star-studded duo like Corey Perry and Ryan Getzlaf. After having their four-game winning-streak snapped against Colorado, I was leery as to how the Penguins would perform in their second contest. They came out with speed and a determination that was lacking against the Avs and their hard work paid off. Depth stole the game with goals from Comeau and Hornqvist, and once again, Greiss played a stellar first two periods before slipping up a bit in the third. Overall, a solid performance that if matched against fellow Eastern Conference teams, the Penguins will more than likely pick up the two points a majority of the time. Arguably the highlight of the Penguins’ road-trip was their match-up with the defending Stanley Cup Champion Los Angeles Kings. In the most basic of terms, the game did not disappoint. Marc-Andre Fleury and Jonathan Quick put on goaltending masterpieces with sensational save after sensational save. Both teams were evenly matched and had it not been for a goaltender interference call, Los Angeles may have stolen the two points. Fortunately for the Penguins, the game went into overtime, securing at least one point. Once again, Patric Hornqvist played hero after an incredible forechecking effort, assisted by an intelligent pinching defensive play by Paul Martin, led the Penguins to victory as Hornqvist snapped home his 22nd goal of the season for the game-winner. As impressive as Hornqvist’s forecheck was, Fleury stole the game, like he has so many others this season for the Penguins. 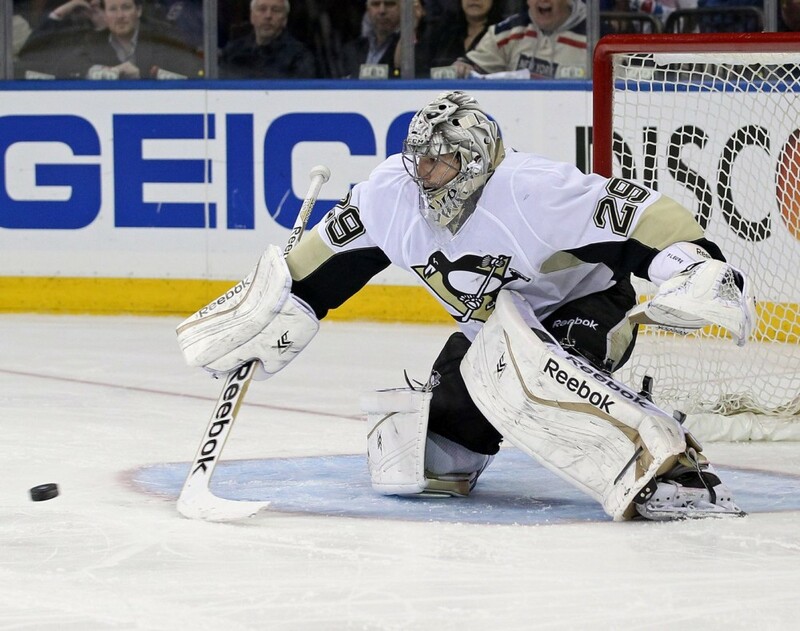 Leading the league in shutouts with nine, it is hard to imagine this Marc-Andre Fleury floundering in the playoffs. Without Marc-Andre Fleury, that game ends completely differently. Not taking anything away from the Penguins, but Fleury stood on his head and made outstanding stops to just get the Penguins into the overtime frame. From there, the offense took over, which is what’s going to be needed in the playoffs for the Penguins. Wrapping up the road-trip, the Penguins battled an enigmatic San Jose Sharks squad. One night, they are the dominant Western powerhouse that they have been for years, and on another night, they could play a horrendous game. Knowing their playoff hopes were on the line, San Jose played one heck of a game. With that said, the Penguins put on one of their most dominant performances of the season, but just could not capitalize on their opportunities. Chris Kunitz missed two open nets, Daniel Winnik was stopped on a break-away, and Derick Pouliot rung one off the post in the waning seconds of overtime. 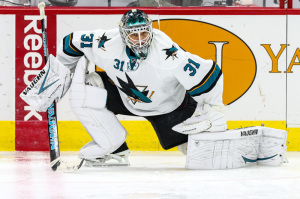 Again, with that said, Antti Niemi was beyond amazing in that game; he clearly led the Sharks to a 2-1 shootout victory with saves against David Perron, Sidney Crosby, Evgeni Malkin, Kunitz, Brandon Sutter, and Steve Downie and a missed shot by Beau Bennett. If the Penguins can perform at that level each and every playoff game, I have no doubt they can be successful for a long run. However, they have not won in San Jose since 1997. The Penguins have struggled in Madison Square Garden and on the Island. They haven’t had the best luck in Washington. There are some arenas the Penguins struggle in and I believe that affects their mentality going into a contest. They need to overcome past demons in troublesome arenas to go deep into the Stanley Cup Playoffs. I’ll keep this part as short as I can. The Penguins picked up five point out of eight; that’s more than half. But, when you look back at their opponents, three of the four are out of the playoffs currently. The Penguins have one of the easier stretches for a playoff team going down the stretch-run of the season. These three points were valuable, but the Penguins let them slip. I won’t take anything away from the Western Conference teams as I do believe, as a whole, their conference is much more competitive than the East, however, the Penguins needed to pick up at least one point against the Avs and had luck been on the Penguins side against San Jose, they would have six out of eight points. Overall, it was a successful trip and being nit-picky, it should have been better. If anything, the Penguins learned that they can play true playoff-style hockey in the regular season and that has to be a boost in their confidence.